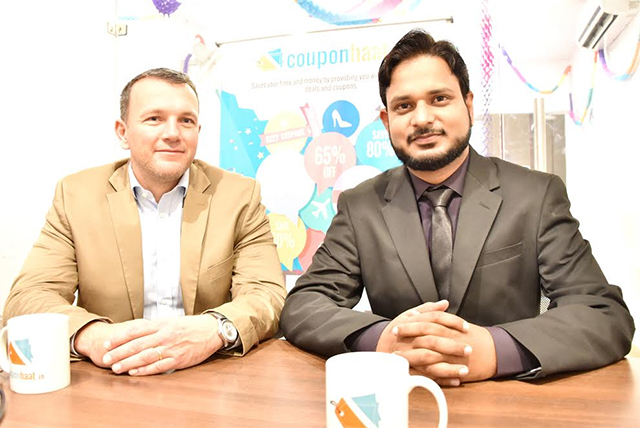 Online deals startup Couponhaat has raised an undisclosed amount of investment in its pre-Series A round from Austria-based angel investor Axel Wawrina, a top company executive told VCCircle. The firm will use the new capital for product development by leveraging big data and machine learning, enhancing customer experience, acquiring talent, and global expansion, Vipin Kumar Yadav, founder and chief executive of Couponhaat said. “We look forward to building a bright future for the rapidly evolving startup, which has established its unique identity as a leading e-commerce enabler in a very short period of time,” said Wawrina, who also runs a semi-conductor business in Europe. The company, run by Digital Haat Pvt. Ltd., was founded in April 2015 by Yadav, who prior to setting up the startup worked as an engineer at automotive company AVL India. Couponhaat claims to have a subscriber base of 4.5 lakh, selling 500 coupons per day. “Going forward, we plan to reach 15 lakh subscribers, and sell 2,500 coupons per day. We have an expert team of deal hunters and technologies to ensure we provide users the best coupons and deals to save their money,” said Yadav. The Couponhaat app, which is available on both Android and iOS, has more than more than 20 shopping categories, offering 9,000 discounted coupons. In India, the deals segment is dominated by Nearbuy, mydala, CouponDunia, and others. In September last year, discounts site Nearbuy has raised venture debt of Rs 15 crore (about $2.25 million) from non-banking financial company BlackSoil Capital Pvt. Ltd. Nearbuy was previously Groupon India. The firm was rebranded in 2015 after NASDAQ-listed deals aggregator Groupon Inc has ceded majority stake in its India unit to venture capital firm Sequoia Capital and the top management of Groupon India, in a management buyout. In April 2016, Mumbai-based CouponDunia.in revamped its business model to focus on the cashback business in order to retain customers. In December 2015, 500 Startups-backed LafaLafa, a mobile-first digital coupons and cashback aggregator, raised investment from Hong Kong-based Vectr Ventures. As per a Forrester report released last year, the coupon sector is likely to have grown at a compound annual growth rate of 57% between 2012 and 2016. With more and more coupon websites and e-retail firms taking advantage of mobile penetration, online shopping is not only more affordable but also a lot more convenient, the report had mentioned. According to Forrester, the coupon business in India comprises around 13.5% of the total e-commerce audience in India, growing at the rate of 62.9% with 7.6 million unique users a month. This article has been updated to include the correct name of the investor.